If you are Shwe Myanmar, you will love this Myanmar calendar. 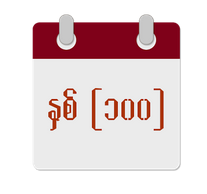 It is the most popular & useful 100 calendar app for Myanmar people. What is inside the app? 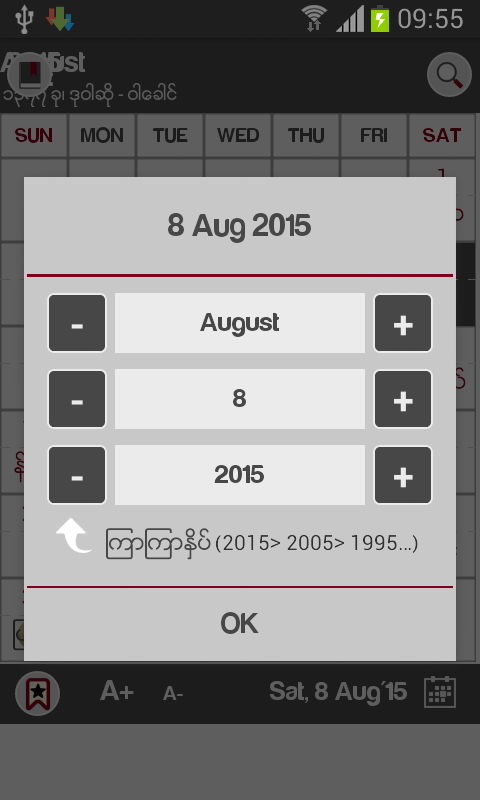 • Find out the details of Myanmar Calendar: Pyat-tha-dar? Yat-yar-zar? Opote? 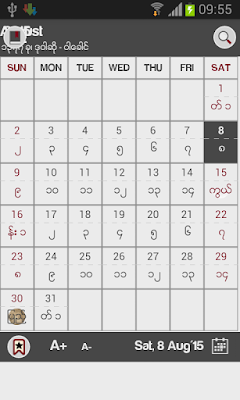 Myanmar Calendar, Burmese Calendar, is also called Pyatkadain ျပကၡဒိန္. Pyatkadain ျပကၡဒိန္ plays very important role in daily life in Myanmar. 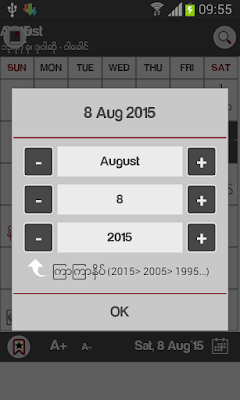 Myanmar Calendar is based on lunar - full moon and new moon. Each Myanmar calendar month represents different festivals which are determined by Myanmar calendar date. 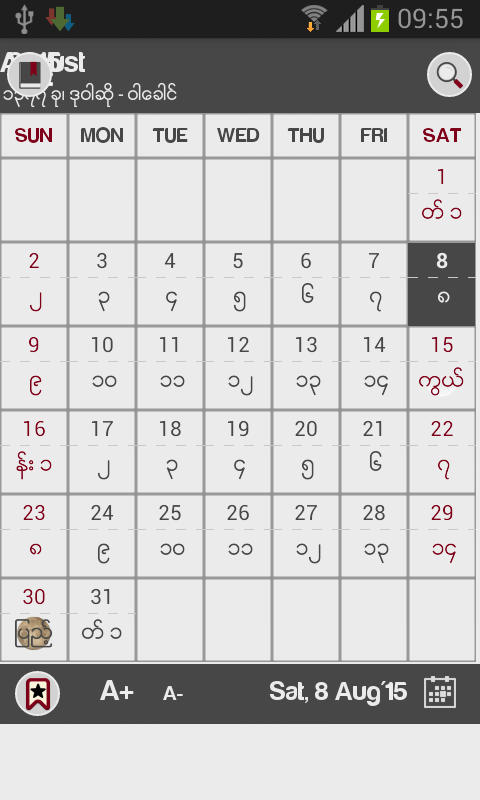 As majority of Myanmar people are buddhist, Myanmar Calendar also helps them to indicate the day to take sabbath ဥပုသ္.  You will find it very useful if you stay in Myanmar or you are Myanmar.